Come to *Novaispania Residences* and enjoy this oceanfront resort with unobstructed views of the Pacific Ocean. Resort is just 10 minutes from downtown Cabo San Lucas, multiple shopping malls and the port area. Premier resort property of the exclusive Quivira Resort. 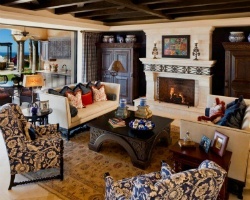 Resort is adjacent to the new Jack Nicklaus private golf club with exclusive golf privileges. 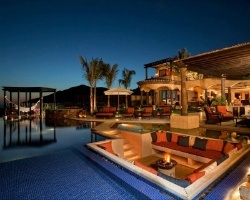 To discover more, please visit www.quiviraloscabos.com. Buyer will receive incentives including discounted golf & spa usage. 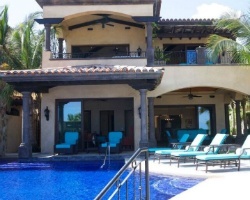 This spectacular oceanfront villa includes a private pool and Jacuzzi! Sale includes week 22 and 23! Unit is in the Viceroy IV home, multi level! Motivated Seller! Price to sell! Governor Unit! Amazing resort overlooking the oceanfront! Buyer may receive a title fee credit, inquire for details! 900 annual points! RTU until 2041! Maintenance fees paid when used! Buyer may receive a title fee credit, inquire for details! Over 2 weeks available every year June 1st - 15th! Buyer may receive a title fee credit, inquire for details! Seller willing to Sell one week or Two. Pick your vacation dates with 900 annual points! Inquire for details! Enjoy relaxing in beautiful Cabo every year! Sale includes 3,000 annual points to use anywhere in the network! Inquire today! Pick your vacation dates with 900 annual points! RTU until 2113! Buyer may receive a title fee credit, inquire for details! Pick your vacation dates with 900 annual points! Buyer may receive a title fee credit, inquire for details! Membership at Jack Nicklaus private golf club, Quivira Golf Club. Only pay Maintenance fees when you use it! Inquire now for details! Special offer available now through Nov 15th 2018.10% off the selling price and will pay for maintenance fee for 2019. Inquire for detail! Special offer available now through Nov 15th 2018.10% off the selling price and will pay for maintenance fee for 2019. Inquire for details! Experience pure relaxation in Cabo each year! 900 annual points included in the sale for greater flexibility! Make an offer today!! Spend family vacations relaxing on the beaches of Cabo! Stunning resort with something for everyone! 900 points per year included! Inquire today! !